It’s easy not to keep up with yard maintenance during the Winter, when spending time outside is so chilly, and the needs for your lawn and landscaping are so low. Trees and plants go into a state of dormancy when the temperature drops, but they’re still alive! As living things, they still need nutrients to stay strong. Just how much moisture is in the annual snowfall? Up in the mountains, where the amount of snow seasonally reaches measures in the hundreds of inches, the answer is A LOT. Here in the front range, however, where the snow is less consistent, and the Winter can be especially dry, it may not be enough to supply water to your lawn, trees, and other living things. 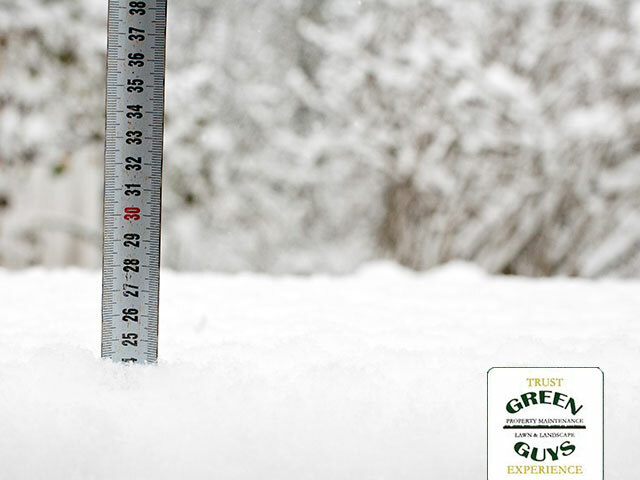 Plus, layers of ice and snow can suffocate your lawn, put stress on tree branches, or result in matting of grass. The commonly accepted ratio for snow-to-liquid-water is 10:1. That means that those big, big Winter storms that promise up to 10″ of snowfall would be a pretty minor rainstorm in warmer months. So, I Need To Water In the Winter? How Much Can New Landscaping Increase Your Home Value?